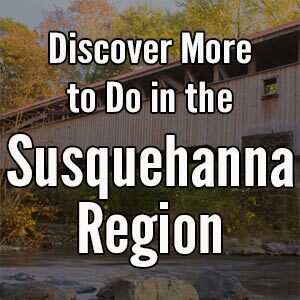 I’ve visited a lot of historical societies during my travels around Pennsylvania. As expected, most of the county historical societies do an excellent job telling the story of their region. However, sometimes the historical societies for smaller communities can be a bit hit or miss. The museum is located in an early 19th century home which is one of the oldest in the community. The home was donated to the historical society after a major flood hit the town in 1936, severely damaging the building. Today, the home provides the museum with ample room to display their great collection. The museum takes up rooms on both floors of the home, with tours starting on the first floor. The main exhibit space on the first floor features a variety of items related to industries in Muncy, specifically the canals and weaving. One great display was the working canal lock. This interactive exhibit is a great way to better understand how a lock would allow boats to travel to higher and lower elevations along the canal. 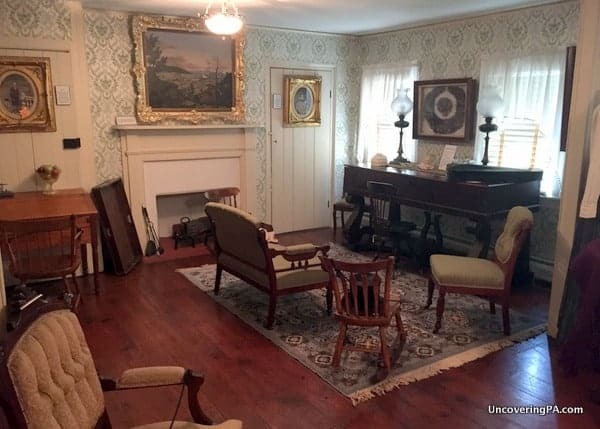 A recreated parlor at the Muncy Historical Society Museum. There is also a section with information about the Last Raft Tragedy, which occurred along the Susquehanna River in Muncy. In what was to be the last log raft to ever float down the river, hundreds turned out along the banks of the river to watch it go by. However, tragedy struck when the raft hit a bridge pier, destroying the raft and killing seven men. It’s stories like these, which are often unknown outside of the local area, which keep me visiting the local historical societies during my travels. Another interesting piece on the first floor of the museum is the Jacquard loom attachment. One of only seven known to still exist in the world, this attachment used punch cards to allow weavers to stitch intricate patterns into cloth. The museum has several coverlets on display that were woven using their attachment in the 1840s. While it might not look like much today, the technology of this piece was very revolutionary for its time. Moving up to the second floor of the museum, you’ll discover several more rooms of artifacts. The rooms feature a variety of items including local military pieces, farming equipment, and local art. I was especially interested in the farming pieces from Sprout Waldron. This local company revolutionized how farmers moved hay and was the foremost builder of mills in the United States. The company is still in business in Muncy but uses a different name. 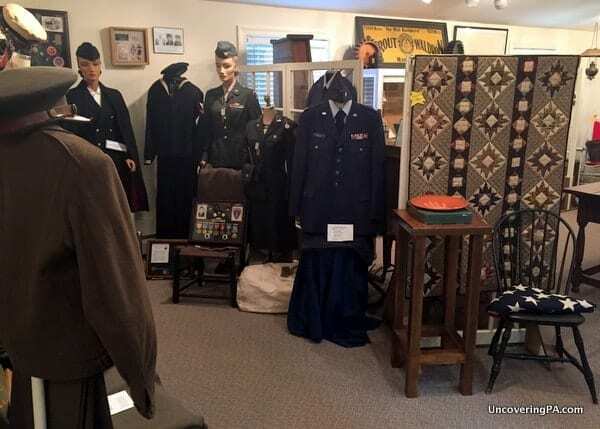 A collection of military uniforms on display at the Muncy Historical Society Museum. Also of interest on the second floor is a very large model of Fort Muncy. This was created by a works program during the Great Depression and does a great job showing what the French and Indian War-era fort was like. 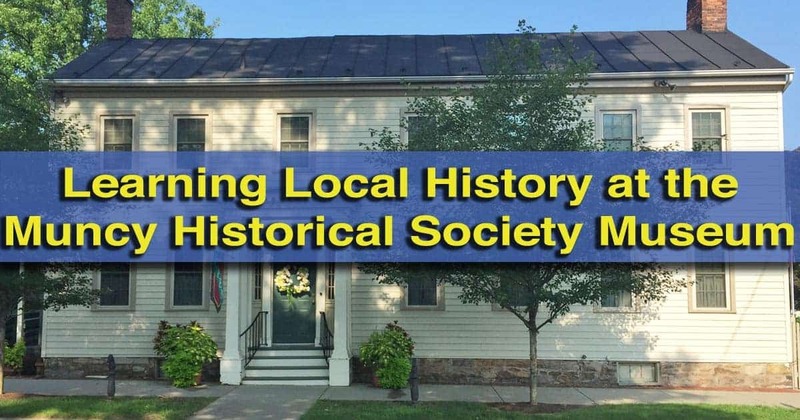 Unlike many small historical societies, the work of the Muncy Historical Society is not confined to a single building. Instead, they have gone to work putting together interesting things to see all over town. They run occasional tours of the fully-furnished 8 Square School. 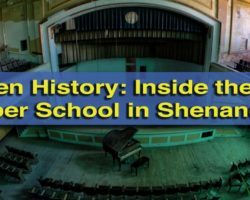 This restored schoolhouse was built in 1872 and was the first public school in all of Lycoming County. They have also put together a great barn quilt driving tour and are working on a walking tour of downtown Muncy. 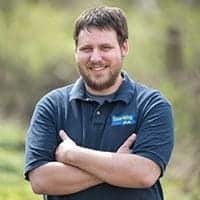 In addition, they own the Muncy Heritage Park and Nature Trail on the outskirts of town. 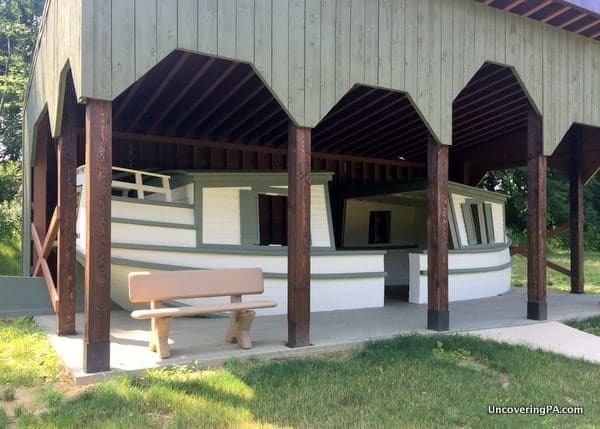 This small park features the remains of the canals that once carried goods along the Susquehanna River and even has a full-size bow and stern from a replica canal boat that once was at the National Canal Museum in Easton, Pennsylvania. A recreated canal boat is one of the highlights of the Muncy Heritage Park and Nature Trail. Taking a stroll through the park, reading the historical markers, and seeing the beauty of the small pond is a great way to cap off a fantastic few hours in Muncy, Pennsylvania. 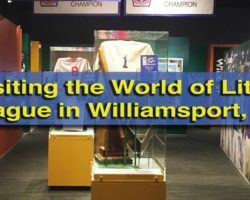 Note: My visit to the Muncy Historical Society Museum was hosted by the museum. However, the opinions expressed are my own. Don’t miss Lairdsville Covered Bridge which is not far from Muncy. 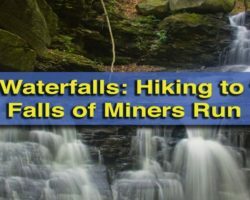 Thanks for showcasing Muncy Historical Society and taking time to visit its outdoor gem, Muncy Heritage Park and Nature Trail. I’m continually amazed that this small group of people can accomplish so much. They are dynamic, hard-working and creative, and their legacy is outstanding. I was amazed as well. They do a lot with what they have. They are a model for what a small town historical society should be. At the Muncy Heritage Park and Nature Trail there is now a path leading down to the Susquehanna River located on the opposite side of the road from the park. 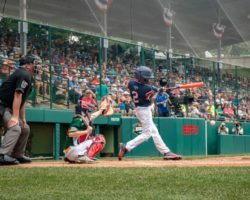 When I was little, my grandmother (from that area) would often say, jokingly, “oh, they’ll put me in Muncy Home!” or “Don’t ship me off to Muncy Home!” Do you know what she was referring to? I know that there are two prisons in that area, including a women’s prison. But I just don’t think that’s what she meant. That’s interesting. Aside from the prison’s you mentioned, I have no idea what that would refer to, or if it refers to the town at all. Sorry, Lisa.